Whether you’re launching a new product or holding a conference, you need to know that your event management company is ahead of the curve. 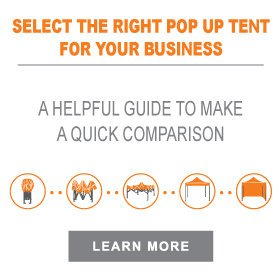 The art of executing a business event is constantly changing. And if you’re not changing with it, you’re falling behind your competitors. 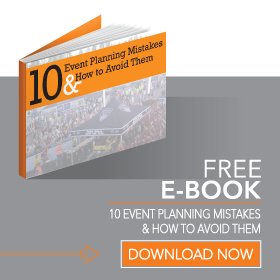 Trends in event management never stand still. Before you choose a company to run your next big event, you need to know it’s implementing 2019’s big trends. From marketing to execution, event management is changing in the following three ways. The vast majority of marketer believe that customers buy experiences, rather than products. A successful event doesn’t just showcase purchases; it showcases a brand’s identity. Leveraging the growing power of social media gives event marketers a fantastic opportunity to spread the word. 2019 is the year when event management companies are taking a more active approach to engagement. Rather than arranging speaker after speaker, the biggest event firms will be asking consumers for their opinions. Expect to see a lot more interactivity in events this year. There’ll be more conversations than ever, and consumers will get the opportunity to give their feedback to decision-makers. Social media will play a more dynamic role in events during 2019. Attendees will be encouraged to interact with speakers and fellow attendees via the likes of Facebook and Twitter. Expect live video coverage of events to pick up where events will be shared throughout the world more than ever before. By getting people involved in events — rather than simply getting them to attend — marketers can inspire them to spread the word. Events management companies will be leveraging the power of social media to amplify their most exciting messages… and all with the help of event attendees. The X Music Festival leveraged the incredible power of social media brilliantly. This Edinburgh-based event had lined up some big names. But rather than simply announce them over the Internet, the organizers published a series of pixelated photographs — hiding their identities. By asking people to comment and share the obscured images, event managers managed to amplify an already exciting announcement exponentially. This active approach to social media event marketing paid dividends. Planners engaged with their audience, and hundreds of extra tickets were sold as a result. Facebook is a very important tool for event marketing teams. The platform has a ready-made events tool, which gives event managers the power to share details of their events with friends and contacts. More and more Facebook events are going viral, so expect to see this power being leveraged more in 2019. Social media gives event managers the power to go out into the world and make things happen. By connecting directly with industry influencers, the voice of event marketing teams is amplified exponentially. Events management are cutting costs and streamlining operations with the use of RFID technology. Radio Frequency Identification is gradually replacing traditional payment and ticketing methods. And, while setup costs are high, the potential savings over the long term are significant. RFID speeds up the admission process within large venues. It requires far fewer on-site staff to manage, and it gives events management companies access to a raft of potentially lucrative data. The Snow Globe Music Festival introduced an RFID wristband last year. As a result, organizers were able to admit 20 people a minute — or 1,200 an hour. This saved tons of time and money in staff because they weren’t required to check tickets. This is the ideal solution for events that operate VIP areas with restricted access. The potential of RFID technology within the events industry is huge. It can be used to share images, collate personal data, and even buy food and merchandise. Expect to see more events roll out their own RFID systems in 2019. 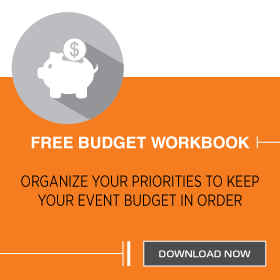 The one-size-fits-all approach to event management is dying. In 2019, you can expect to see more personalized events that put attendees in charge of their own experience. Rather than follow a linear series of activities, event attendees are being given the chance to create their own schedule. They might have a choice of several speeches, group activities, and one-to-one meetings. In essence, each attendee is given the power to create their own event. Planners are using several tools to increase the personalization of events in 2019. For example, silent conferences are possible with the use of special headphones. You could have a room of hundreds listening to several different speakers at the same time. Live polling apps allow event planners to obtain feedback from attendees in real-time. Planners can ask attendees to download a dedicated polling app. During or just after key events, event managers can send questions to everyone in attendance. In many cases, a simple yes or no answer might suffice. But it’s also possible to acquire more detailed responses via the app. But polling software now goes a step further. Attendees can be grouped into categories based on personal details, professional achievements, or various demographics. This gives managers the opportunity to tailor highly specific questions to the right people. The data harvested from these groundbreaking apps can be used to change event schedules according to the popularity of particular segments. It’s also possible to allow the agenda to be set by majority vote. Guest management technology allows planners to give each individual the most appropriate event experience. It’s now possible to tailor that experience based on the individual’s work history, personal preferences, and consumer habits. An annual film and music event in Texas recently demonstrated the potential of personalized event management. The South by Southwest festival introduced an app that logged the location of attendees, the attendance at each sub-event, and how many people “favorited” each act. The festival organizers were able to make changes to their line-up in real time. This relieved bottlenecks, increased merchandise sales, and delivered the experience most people expected. Acts and shows that were poorly attended were shortened or cut altogether. Organizers were also able to identify the most popular genres — and double down on them. 2019 is going to be one of the most exciting years yet for event management. Get ahead of the curve now, and you can steal a march on your competitors.